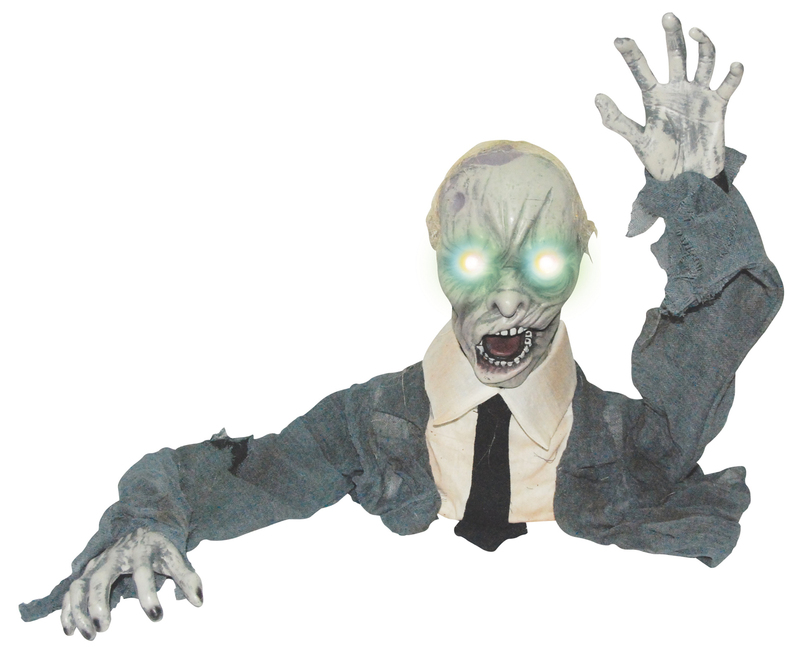 Give your lawn a creepy fixture with this Groundbreaker Zombie. 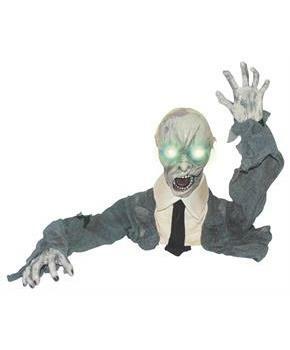 This sound activated prop features a turning head, light up eyes, and moaning sounds. Measures 18" x 52". Requires (3) AA batteries (not included).